Guifted guitarist Noelly who recently toured with Don Baker bring’s his new 4 piece band to Bob’s on the 2nd. 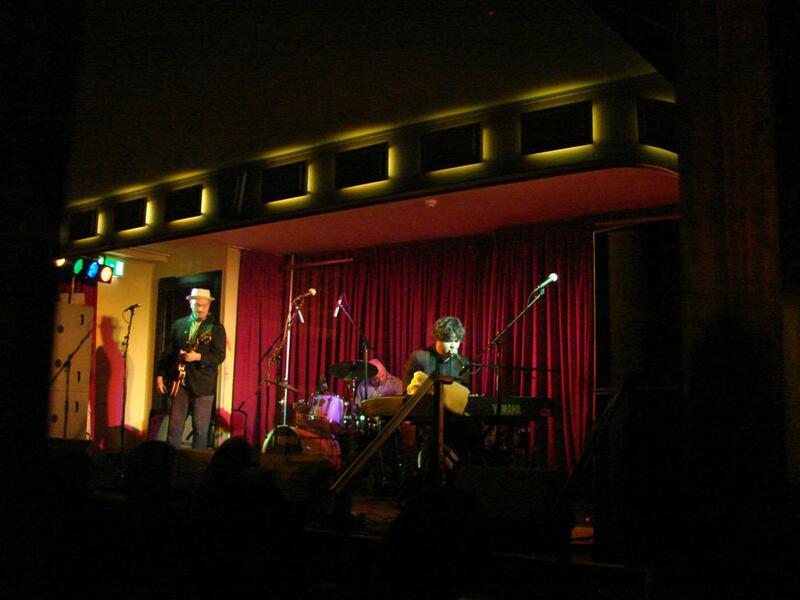 Two time Meteor Award winner John Spillane is one of the most accomplished singersongwriters Ireland today. His 3rd Album,”Hey Dreamer.” (Which included the hit single ‘The Dunnes Stores Girl’,) dÃ©buted at No.4 in the Irish top ten in 2005 . Music, Craic and Comedy with the outrageous humour of Peter O’ Malley. Favourite comedian at Dolan’s Warehouse, Limerick, WILD-MAN O’Malley delivers a crazy mix of music, song and irreverent wit! Lead singer with Bagatelle and one of Ireland’s most prominent songwriters. Piano man Liam makes a rare solo appearance at Bob’s on Sat. 27th.Hear Liam perform the classic’s : Summer in Dublin, The Street’s of New York, Second Violin, Flight of Earls, Trump Card,Leeson street Lady etc.in this intimate setting. With the number of venues and pubs hosting gigs popping up around the county, I think they might merit a separate county listing in the near future. This will give more distinction to the out-of-city events, and restore some clarity to the main gig listing for city events. We will give you the the option to choose whether to view city-only, county-only or both on the one listing. After months of apparent stagnation there is finally some activity afoot on the Cork pub/bar/venue scene. 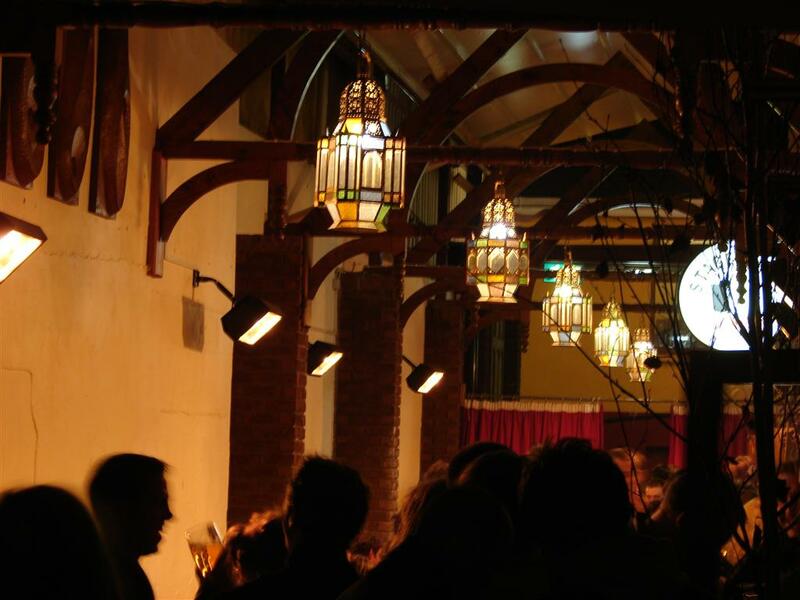 In recent weeks we have seen the Tikki Lounge move to a bigger and better home at the Isobar, the Roundy has started doing live music (albeit on a limited basis) and we had the unveiling of the Crane Lane Theatre. We’ll have more about the Tikki Lounge later, but here’s our first impressions of the Crane Lane. 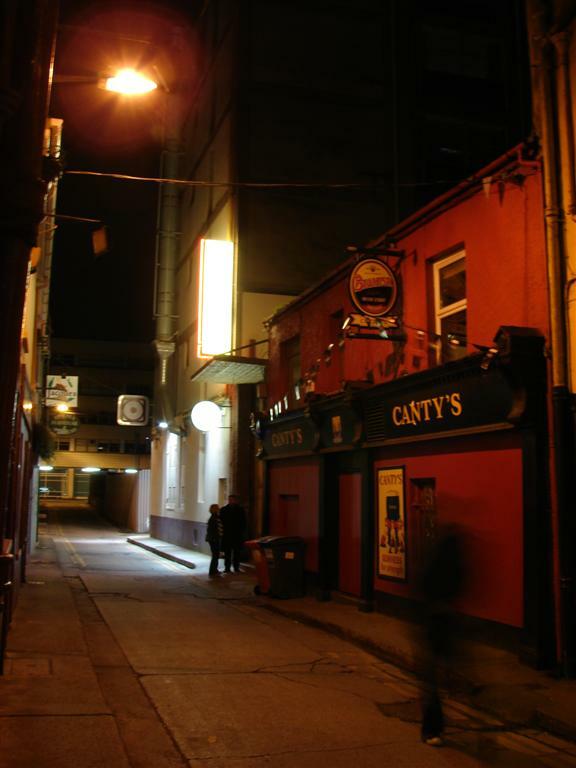 The well-known Cork publican, Benny McCabe purchased the premises of the former Club One some time early this year. In the intervening months he has overseen the transformation of the site from a nightclub that wasn’t reaching its full potential, into a brand new late bar and live music venue. At a time when it seems like all the decent atmospheric pubs are making way for new yuppie bars, it’s a relief that there is finally a break from the new trend in large, vacuous, soulless superpubs. 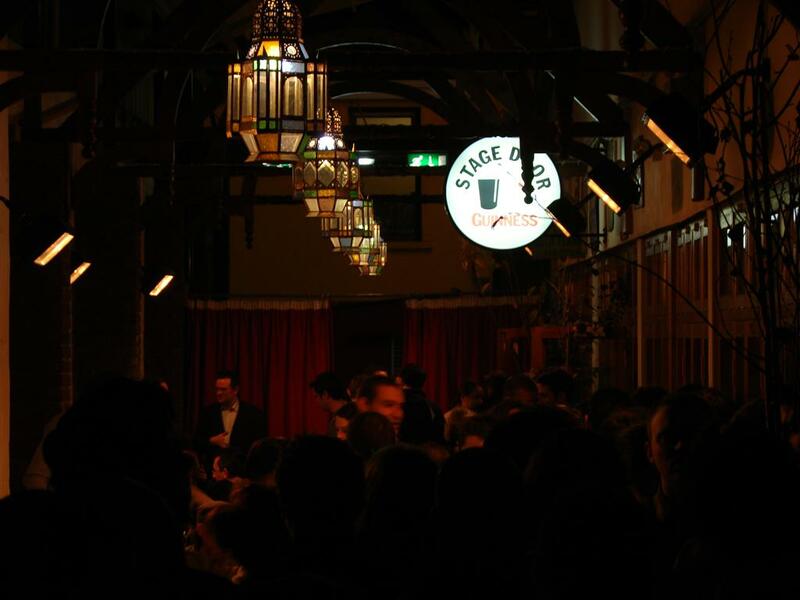 They seem to have made good use of the available space, dividing the site into three separate bar areas and a partially open-air terrace that runs the length of the venue. You enter the Crane Lane from Phoenix St and step into the terrace, where there is seating and a number of large potted plants which you will have to navigate around as you move from one end to the other, particularly when it’s busy. All along one side is a wall of timber-framed windows and doors, which lead into the two bars and the main room. The decor of the smaller bars is styled on a 1930’s whiskey bar, according to a recent article in one of the local papers. If you like any of Benny McCabe’s other establishments (Mutton Lane Inn, Sin Ã‰, The Oval) you will surely feel at home here. 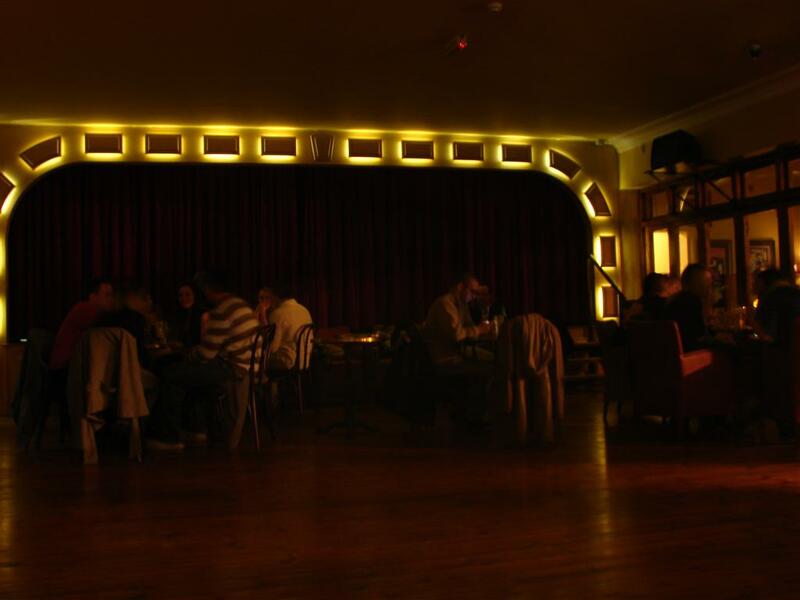 The main room (the ‘theatre’ part) is pretty well laid out: The bar is opposite the stage, at the back of the room. A few low tables and chairs are scattered around the front of the stage and the sides of the room. Only a couple of small pillars on the left side interrupt an otherwise unobstructed view of the stage. The stage itself is pretty small and particularly shallow. Ron Sexsmith remarked during his gig that there wasn’t much space for him to “rock out.” Joking as he may have been, it could be a problem, although it will hardly limit the type of act the venue can (or wants to) book. The sound quality was very good on the night, apart from the first few songs where the bass was smothered and barely perceptible. On that particular night there was an unfortunate constant buzz of conversation from the rear of the room, which became more intrusive late in the set when more pints had been consumed and Sexsmith played a few quiet solo songs. Maybe a lot of freebie invites went out for the first gig in the new venue — people don’t pay â‚¬20 to go to a gig and talk right through it. With the terrace outside and two other bars available, there should be little excuse for people to stay talking loudly during the show. Also the noise from the bar, while unavoidable, could be kept to a minimum by using the gaps between songs to dump bottles and collect glasses. Also on the negative side, the main room got very hot during the Ron Sexsmith gig, and there is no apparent air conditioning system; maybe I just didn’t see it, or maybe they figured there would be no need for air conditioning in the wake of the smoking ban. Even opening those big glass doors for a while might have helped, although the downside would be the distraction to the musicians and the blast of cold November air for those near the door. Despite these functional hiccups, from an aesthetic point of view the Crane Lane surpasses the majority of its rivals in providing a retro, yet tasteful pub environment in what is effectively a completely new venue. Soft lighting from old style lanterns would seem tacky in another setting, but here beside the dark timber and red leather seats, one would be forgiven for thinking it had been in situ for decades. Paintings, prints and more modern concert posters adorn the walls throughout the venue. The resulting look is in stark contrast with the chrome and coloured lights of the previous venue. Very few people will feel out of place at the Crane Lane. So far, we have seen people from all walks of life; young and old, local and foreign, student and socialite. Admittedly we have heard of some ‘inconsistencies’ in the door policy — the all too familiar stories of sober, respectable young men (and to a lesser extent, women) being blacklisted by bouncers for no apparent reason — but it’s early days yet and we will reserve judgement for the time being. 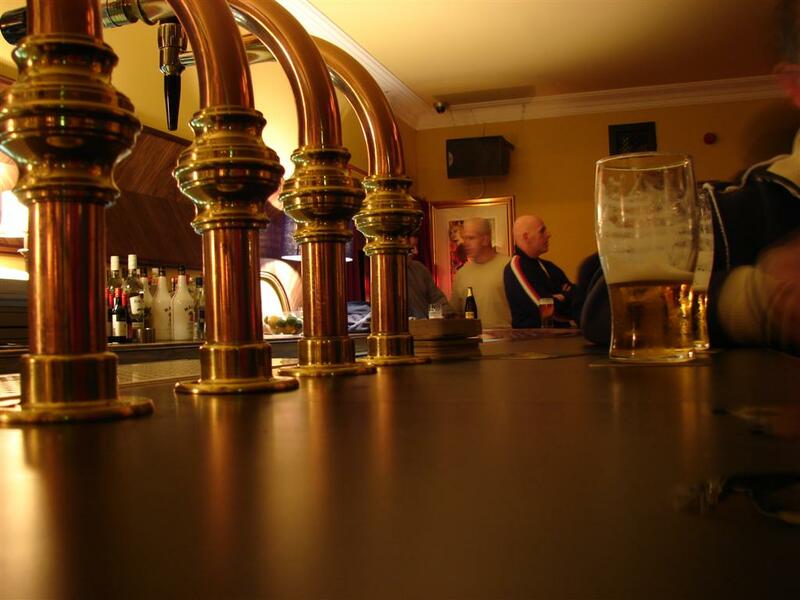 The bar staff are professional and friendly, and it seems some have been repositioned from the aforementioned pubs.